The Real Heroes of Telemark: The True Story of the Secret Mission to Stop Hitler's Atomic Bomb. In 1943, four men parachuted onto a Norwegian glacier, equipped with only the most basic equipment. Their mission was to prevent the Nazi regime from building an atomic bomb. As in the BBC2 television series of the same name, The Real Heroes of Telemark tells the true story of this gruelling campaign, showing how these men's ability to survive in extreme conditions influenced the outcome of World War II. Theirs is a journey which is retraced in Woodlore's Heroes of Telemark expedition, thus making this book ideal reading for those thinking of attending this course. 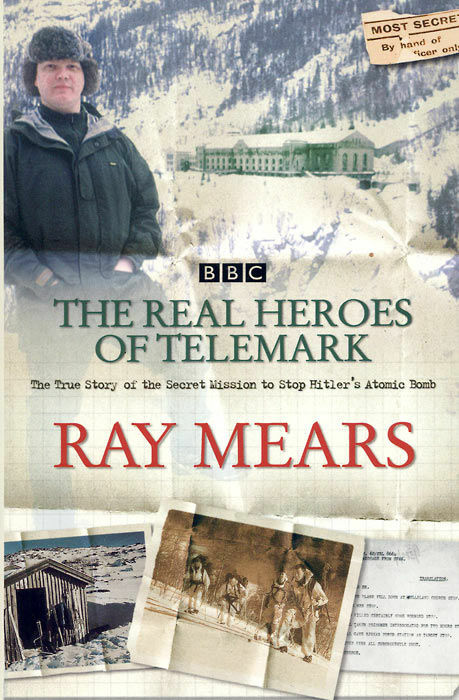 Ray Mears - The Real Heroes of Telemark - Signed Copy is rated 5/5 based on 12 customer reviews. As with everything else written or presented by Mr Mears, this is both informative and interesting. Mears delves into all aspects of this daring operation with a depth of knowledge and understanding that most historians and authors could never achieve. Indeed, Mr Mears recreated the survival aspects of the operation for himself. This allows him to speak with authority on the subject, which enables him to effectively convey the desperate conditions the Norwegian team lived under for so many months. A very effective book. The story is about a group of incredibly brave people, dedicated to carrying out an almost impossible mission. Excellent well written book. A very gripping story...very moving. The delivery was as on time as planned. First class all round. Great story well researched and told. Always loved this amazing tale of extreme endurance, Ray has painstakingly researched the true story not the glossy Hollywood version that barely touches on the extreme story of winter survival. I first read a library copy of Ray's The Real Heroes of Telemark book in the noughties after watching his TV documentary of the same name. The movie with Kirk Douglas was on at Easter, which made me think I would like to have my own copy of the book. I was delighted to find that I could buy the book directly from the Woodlore website and that the copy would be signed by Ray himself. I was also pleased to find that I was not charged any postage fees and the book arrived very promptly and of course signed. The book is a cracking read and gives an engaging and well written account of the spectacular bravery of the Norwegian men who helped change the course of history. It is also very clear that destiny played her hand in how the events unfolded from the moment that one of the Norwegian men captured a Nazi boat and sailed it to England. Thank you to them all and thank you to Ray for documenting it. I'm a patriot; I love history and bushcraft. This books covers all those subjects. 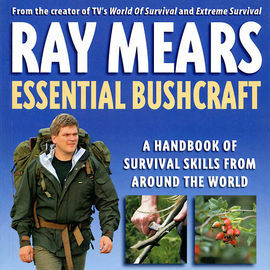 Ray Mears has integrity and this shows in his programmes and books. This book tells the true story of Telemark. Remarkable feats of bravery and bushcraft that came together when the world needed them. Really looking forward to reading the book after watching the TV series of the same name. 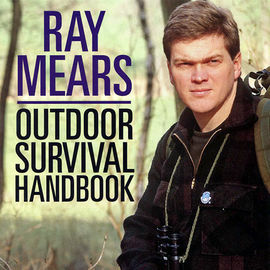 Received the book well packaged and I'm sure my dad will love it for his Christmas, especially since it is signed as he is a big Ray Mears fan. Another fine read from Mr. Mears. This is one of my favourite Films and so was intrigued to hear how the Soldiers had actually coped with being dropped into enemy territory and survived in such harsh conditions. I was a little disappointed at the quality of the pictures illustrating the book in a section towards the middle. They are very dark, the one at the bottom of page 181 is mostly just a black mass. I did though buy this for 'the read' not for the pictures so am not too bothered. Maybe a later print will sort this out? On the whole very pleased and the 'story' of these real life heroes is an enthralling one.